Carl Hodgetts is a Wellcome Trust Fellow based at the new Cardiff University Brain Research Imaging Centre (CUBRIC). He completed a PhD in Cognitive Science at Cardiff University, where he developed a new theory for understanding how human and non-human primates compare and categorise objects in the world. Following this, he moved into human neuroscience, and developed skills in functional and diffusion magnetic resonance imaging (MRI). These techniques allowed him to study how human behaviour relates to both activity and connections in the brain. 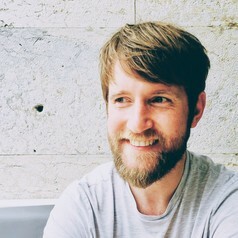 His current work focuses on how different brain connections are involved in processing specific - and evolutionary relevant - categories, such as faces and scenes. He has also been working as an honorary scholar at the University of Oxford to develop state-of-art imaging methods. These have allowed him to better measure activity in small and complex brain areas, such as the hippocampus. His ultimate aim is to understand how specific brain circuits are affected in dementia and disease, and to identify early markers in the brains of individuals at risk for later-life poor cognitive health.